This week we received some exciting new additions to our already amazing selection of craft beer! 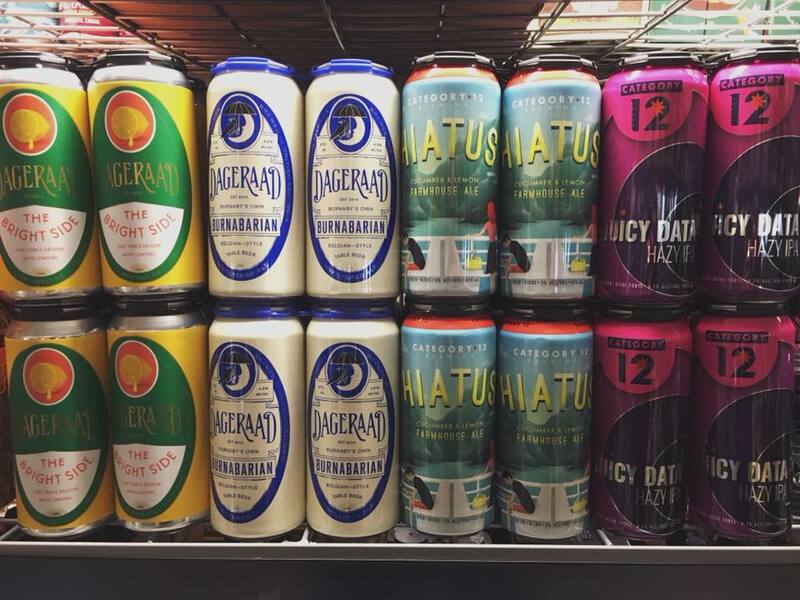 Dageraad Brewing and Category 12 Brewing each sent us two that are sure to impress in the summer weather. The Brightside: A brand new brew! This tart table saison with lemon comes complete with the cutest can we've ever seen... he looks so sad! But this beer won't make you sad. Burnabarian: An old favourite, re-imagined! Now in 4-packs, Burnabarian is one of Dageraad's mainstays and a totally crushable Belgian-style table beer. Hiatus: Meant especially for summer, this cucumber and lemon farmhouse ale is meant to be enjoyed by the water! Juicy Data Hazy IPA: Everyone and their dog is drinking hazy beers right now, so naturally Category 12 had to get in on the fun! Juicy Data is just that... juicy.